Suitable For: furniture, buildings, automobile mirror, light, gift, mirror. Etc. 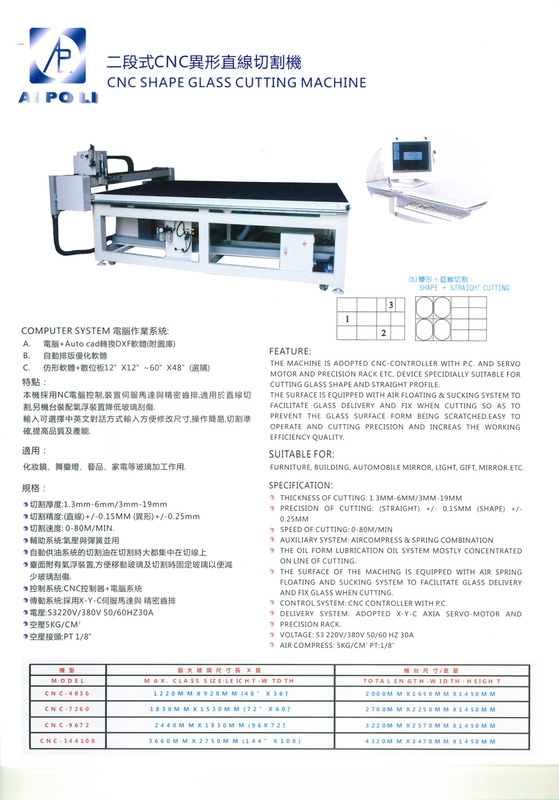 The machine is adopted CNC-controller with P.C. 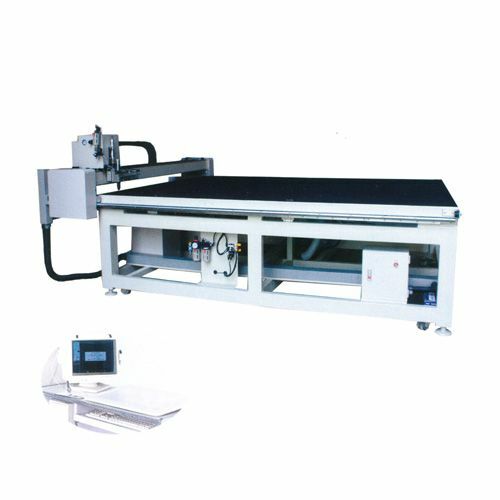 and servo motor and precision rack etc, device specially suitable for cutting glass shape and straight profile. The surface is equipped with air floating & sucking system to facilitate glass delivery and fix when cutting so as to prevent the glass surface from being scratched. Easy to operate and cutting precision and increase the working efficiency quality. Speed of Cutting: 0-80 m/min. The oil from lubrication oil system mostly concentrated on line of cutting. The surface of the machine is equipped with air spring floating and sucking system to facilitate glass delivery and fix glass when cutting. Control System: CNC controller with P.C. Delivery System: adopted X-Y-C axia servo motor and precision rack. Air Compress : 5kg/cm² PT: 1/8"